What started as a pile of around 850 LEGO bricks is now one of Overwatch’s most rockin’ weapons—Lúcio’s sonic amplifier. Created by YouTube LEGO creator ZaziNombies, the sonic amplifier was a tricky build. The rounded speaker dish was a challenge, taking “several iterations” until he got a suitable design. Seventeen-and-a-half inches in length and weighing three pounds, the weapon uses hundreds of smooth bricks alone. And here’s the best part: It actually plays music. 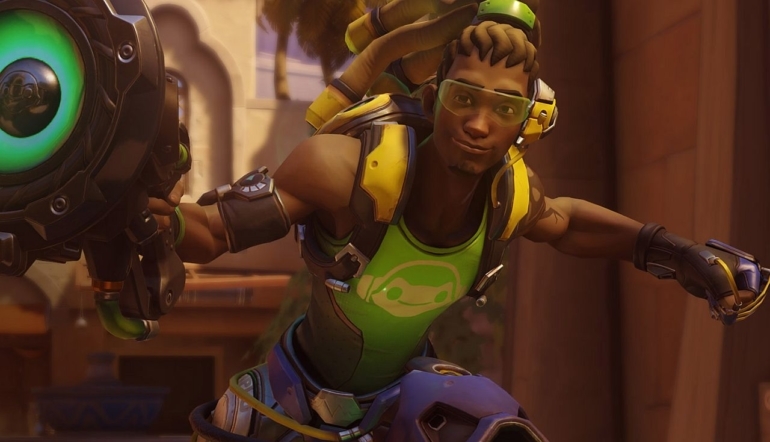 Using a mounted iPod, Lúcio’s LEGO sonic amplifier is loaded up with the Brazilian DJ’s tunes. Bright green LED lights dot the sides of the weapon, with green tubing bringing everything together. This is not ZaziNombies first LEGO Overwatch build, either. So far, he’s created Reaper’s shotguns, Sombra’s machine pistol, Reinhardt’s hammer, Junkrat’s frag launcher, and Zarya’s particle cannon, among others. What’s next on ZaziNombies list? Judging by YouTube comments, his fans want to see a full-size D.Va mech or Widowmaker’s sniper. One of those seems more likely than the other.